Without any doubt, the Internet has become a phenomenal platform for harnessing diverse opportunities in the 21st century, especially in the area of business. Fred is clearly an expert in this field; divulging practical ways to help small business owners change the dynamics of their business. CFA’s message of the importance of e-marketing for every entrepreneur, who wishes to go beyond survival to profitable relevance, is as true as the bearer: effective, efficient and accessible. It is with great pleasure that I acknowledge CFA’s volunteer work with FATE Foundation to facilitate e-marketing for our entrepreneurs. Fred is a prolific blogger, a self-motivated SEO expert and a social media coach! As a volunteer expert for EDC, Fred has been an integral team member in the implementation of our social media strategy on the Nigeria SME Toolkit. I have no doubt that this book will be valuable to those wishing to jumpstart themselves in these areas as well as to experts looking for additional tips. The book “Powering your Business on the Internet and Social Media: A guide for Today’s Business Owners”, is a timely analysis of the global impact of the Internet on business, growth and jobs. With the rising popularity of social media, Internet is sparking business growth all over the world by creating local entrepreneurial climate and climate and cutting-edge. 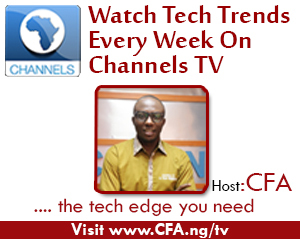 CFA, as he is fondly known, takes a fairly holistic view of the Internet and the great opportunities it presents for the ordinary business owner. In his expositions, which are short and crisp for easy comprehension, Chukwuemeka takes us on an elaborate tour, spanning the basic understanding of the Internet and social media through basic principles and practices associated with Internet marketing, and then onwards to specialized Internet applications like Search Engine Optimization (SEO), Pay Per Check (PPC) Advertising, and Viral Marketing. CFA is one of the most passionate and hardworking people I know. He has a deep passion for the social media and how this tool can help everyone succeed. The cook book is not too long on words. It is practical ideas and made to prescription that we all can go to, so we can like the search engines search out the ABC of Digital marketing. Fred has put together such a book: a guerrilla marketing guide for Nigerian businesses on how to leverage the Internet to provide real value to their customers. A must read for all Nigerian entrepreneurs. Chukwuemeka Fred Agbata Jnr. "CFA" is a highly sought after author, business coach, columnist, ICT expert & public speaker with a passion to help people become Conditioned For Accomplishments!